Photo illustration. 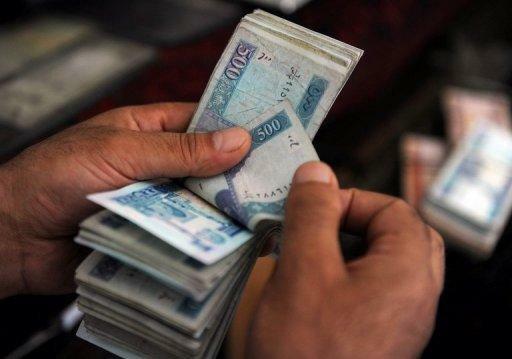 The cost of corruption in Afghanistan has risen sharply and half of all citizens paid a bribe to public officials last year, a new United Nations study said Thursday. The cost of corruption in Afghanistan has risen sharply and half of all citizens paid a bribe to public officials last year, a new United Nations study said Thursday. More than 11 years after a US-led invasion led to billions of dollars in aid flowing into one of the world's poorest countries, Afghanistan ranks among the most corrupt nations on earth. And Western nations due to pull their troops out next year have linked future financial support to the aid-dependent nation to a crackdown on graft. The report by the UN office on Drugs and Crime (UNODC) and Afghanistan's anti-corruption unit says that while there has been "some tangible progress", the total cost of corruption increased to $3.9 billion in 2012 -- 40 percent up on 2009. "The bribes that Afghan citizens paid in 2012 equals double Afghanistan's domestic revenue or one-fourth of the Tokyo pledge," the report says, referring to the $16 billion promised by donors at a conference in Japan last year. "Nobody doubts the seriousness of the issue, the art is to design the correct strategy to remedy the situation," said UNODC regional representative Jean-Luc Lemahieu. The report shows that corruption appears to be increasingly tolerated by ordinary people. More than 68 percent of those surveyed considered it acceptable for a civil servant to top up a low salary by accepting small bribes -- up from 42 percent in 2009, the report noted. And 67 percent considered it "sometimes acceptable" for a civil servant to be recruited on the basis of family ties and friendship networks -- also up from 42 percent four years ago. While the cost of corruption had risen, the total number of people paying bribes had dropped from 58 percent in 2009 to 50 percent last year -- but they were paying more often. The survey was based on a representative sample of 6,700 citizens interviewed across the country. President Hamid Karzai in December blamed foreigners for most of the corruption in Afghanistan and said the withdrawal of NATO troops in 2014 would help rid the country of graft.